Book Now: £995 £395 + VAT Book by 8th April and Save £600! 5 experts. will be speaking. Starts at 9:00 AM. P3X is the go to Conference aiming to explore and discover how three core themes: People, Product & Process can can collaborate. The flexibility of these three tracks allows you to cherry-pick the talks most relevant to you, or try something completely new. A look at how collaboration between business and technical teams maximises our potential: from diversity and collective intelligence to factors that help us collaborate more effectively. What are the ways in which we frame, slice, understand and explore the intent of product evolution? A look at the practices, tools, models and techniques that help us deliver outcomes that change the world. 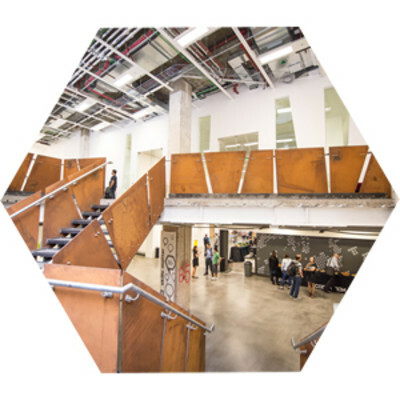 Over two days, a mixture of stimulating talks and practical workshops will equip you with the knowledge to apply effective collaboration to an aligned vision, resulting in real-world outcomes. P3X offers value to everyone in the software development cycle. Past attendees include: Agile/Scrum Practitioners, Product Managers, Team Leads, Developers/Engineers, Software Architects. No prior knowledge of Agile, BDD or TDD is required. Explore the programme to find your ideal track. 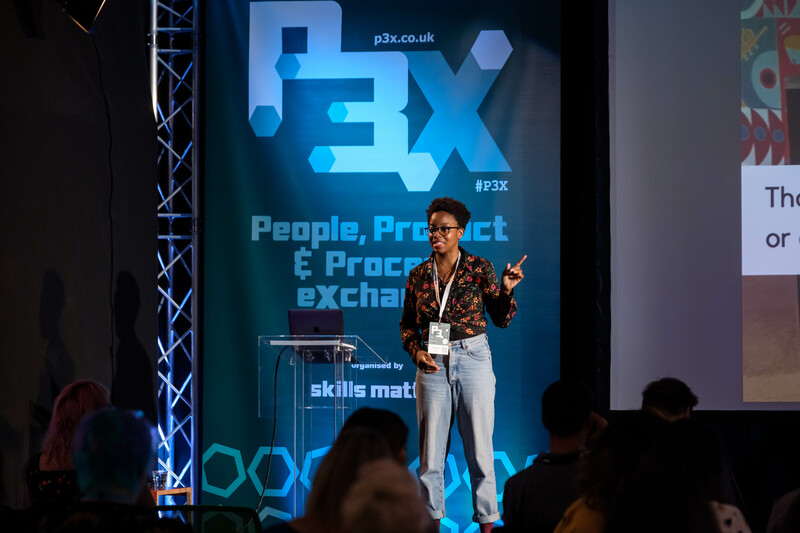 We are thrilled to announce that Dave Snowden, Portia Tung, Nat Pryce, Aino Vonge Corry and Dan North will be joining us to all give a Keynote Talk at P3X 2019! Would you like to speak at P3X 2019? We want to hear your talk proposals! Talks will be selected by Skills Matter and the Programme Committee on the basis of making the conference a varied, diverse and valuable event. Deadline for submission:COB Monday, 10th June 2019. We are delighted to have Aino Corry at P3X 2019! Dave Snowden divides his time between two roles: founder Chief Scientific Officer of Cognitive Edge and the founder and Director of the Centre for Applied Complexity at Bangor University in Wales. Portia is an Executive and Personal coach, Executive Agile coach and play researcher creating transformative change in a range of organisations including the Prime Minister's Office, the NHS, British Airways and global financial institutions. She readily draws from her 20 years of experience in the IT industry ranging from analyst programmer, to development manager, and IT consultant, to Agile coach, and more recently as a trained professional coach. Would you like to speak at P3X 2019 2019? We want to hear your talk proposals! Talks will be selected by Skills Matter and the Programme Committee on the basis of making the conference a varied, diverse and valuable event. Submission is open to anyone, and we encourage first-time speakers to submit a proposal. Members of the Programme Committee are happy to offer coaching and assistance on talk proposals. We strongly encourage first-time speakers to be part of our programmes. If your talk will be selected, you will have the opportunity to attend Jenny Martin's course "Giving Engaging Technical Talks at Conferences and Meetups". Skills Matter is proud and happy to share our P3X Diversity Scholarship Plan which provides support to those from traditionally underrepresented and/or marginalized groups in the technology and/or open source communities who may not have the opportunity to attend P3X for various reasons. We will be reviewing submissions and get back to applicants by 7th October. We look forward to having you at P3X 2019! Call or email our team about the P3X Fringe Package for a special discount on bundle tickets! Are you part of a testing team that is transitioning to an agile development process? Are you keen to learn how to become a valued member of an agile team and contribute to delivering a continuous stream of business value? Join Janet Gregory for her Agile Testing course to learn the values and principles that help testers adopt an agile testing mindset, and how the whole team contributes to the success of practices, including automation. This highly participatory 3 day workshop equips you with a toolkit to help align teams towards the quickest path to value and accelerate iterative delivery through more effective collaboration. Drawing on collaborative techniques from Lean, BDD and Specification by Example (as well as some new ones), you will gain a hands-on understanding of how to leverage examples to guide conversations and drive development throughout the life-cycle of a project and beyond, from ideas to living documentation, from analysis to Dev. Want to build an organisation that enables agile at scale and unleashes the power of small autonomous teams? Join Joakim Sunden to hear inspiring real world examples of how Spotify grew a dynamic learning organisation that continually reinforces a high-trust culture and supports engaged autonomous teams. This course will help you and your team to understand how and why it was optimized, the challenges that come with the method, and how companies can adapt and continue to evolve while employing this strategy of agile at scale. Learn how best to support and coach your team by helping product owners and developers capture and understand requirements through stories and acceptance tests, prioritising the backlog, and planning and estimating regular releases through to production. Join Martine Devos, an expert in organisational development with over 30 years of managerial experience, for this 2-day ScrumMaster Course where you will focus on Estimation and Planning. You will learn about the theory and ideas underpinning Scrum and Agile techniques, and put theory into practice through a variety of exercises and take-aways which you will be able to use on your own projects with your co-workers. Whether you are seeking to improve visibility of your tools, devices or projects, or simply would like to support People, Product, Process eXchange's passionate community through your engagement, our sponsorship team will be able to help you select the best sponsorship package for you! Email sponsors@skillsmatter.com or phone 0207 183 9040. P3X: the evolution of Agile Testing and BDD eXchange. People - Maximise human potential, Product - Explore products and align vision, Process - Deliver world-changing outcomes. Do you want your systems to be the best they can be? Want to know how BDD helps delivery teams build quality in right from the start? Interested in meeting leading experts like Jeff Patton to learn about their latest ideas and their vision for the future? Join us on October 1st for the Agile Testing and BDD eXchange 2012! Join us for 2011's Agile Testing & BDD eXchange and be part of an informal day of deep technical insight and friendly discussion to learn, adopt and share new innovative ideas, tools and practices for enterprise software development. Following the enthusiastic response to our Agile Testing and BDD community events and courses during the last 10 months, Skills Matter is proud to organise the first, annual Agile Specification, BDD and Testing eXchange.